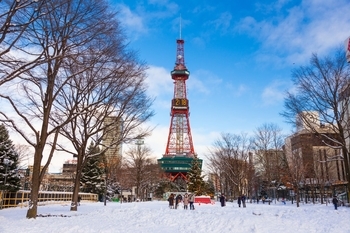 Finnair, a British Airways partner in the oneworld alliance, will launch flights to Sapporo in Japan this Winter. It becomes the first European airline to fly to the city since KLM dropped the route back in 2002. The service will only operate for a short period between 15th December and 27th March 2020. Flights will depart from Helsinki on Thursdays and Sundays. Sapporo will be the 5th Finnair destination in Japan following Tokyo, Osaka, Nagoya and Fukuoka. The direct route from the UK to Japan takes you over Scandinavia which is why the flight time from Helsinki to Sapporo is only 8hr 55 min. Booked with Avios, Economy seats are 50,000 points + £254. Business Class is 150,000 Avios + £362. Finnair appears to have released two Economy and two Business Class seats per flight, and availability was good when I looked yesterday. Hilton Honors is (again) offering a 100% bonus when you purchase 10,000+ points. The Hilton ‘buy points’ page is here. Regular readers of Head for Points will know that I tend to value Hilton points at 0.33p each. You are paying 0.39p ($1,600 / £1,250 for 320,000 with a 100% bonus) here if you buy the maximum so the maths in general doesn’t work. Hilton also does ‘five for four’ if you have Hilton Honors status. As Hilton will status match you from any other hotel scheme where you may have status, most HFP readers should qualify for this. Taking 10th – 15th February as an example, five nights would cost you (95,000 x 4) 380,000 points which would cost $1,900 with this deal. A non-refundable cash rate would cost $5,260. Similar deals are available at peak times in other major cities. Conrad New York, for example, costs $3,100 for a five-night stay from 3rd to 8th May. Buying 320,000 points via this deal would cost just $1,600. Conrad New York is an ‘all suite’ hotel which I recommend. You can buy points via this link. The offer ends on 26th February. American Express increased the interest rate on the Starwood Preferred Guest American Express card and the little-known Costco American Express card (reviewed here) yesterday. Both cards saw the interest rate on purchases increase from 19.9% to 22.9%. The overall interest rate on the SPG card, including the £75 annual fee and assuming a £1200 credit limit, is now 39.7%. This brings it in line with the British Airways and Nectar Amex cards. This should hopefully be of no relevance whatsoever to HFP readers, because anyone who pays interest on their credit card should not have a miles and points card! I recently published this article on reward credit cards which also have low interest rates. The Starwood Preferred Guest American Express comes with a sign-up bonus of 30,000 points. This is worth around £150 of free hotel rooms via the Marriott Rewards / Starwood Preferred Guest scheme, or it can be converted into 10,000 Avios or other airline miles. There are many airlines where the SPG Amex is now the best way of earning miles in the UK from a credit card – Air Canada Aeroplan, American Airline AAdvantage, United MileagePlus, Qatar Airways Privilege Club etc. My full review of the Starwood Amex is here. The application form is here. How I (almost) recreated BA Club Europe on Vueling for £64 one-way! Flybe surprise update: sale to Virgin Atlantic consortium restructured, shareholders bypassed, deal done! Note that Hilton Honors will only status match you once, so choose your timing carefully as to when to apply for a status match. Not technically true, I’ve done it twice. However, the underlying scheme changed between the two matches. The plan is to gift Mrs S IHG Platinum when I hit Spire next year and then for her to do it to see us through for another few years. Hi Craig you seem to know what you’re talking about so feel free to ignore my thoughts, but isn’t it better to take 25k points rather than gift Plat as you can earn that easily with the credit card. Agreed. I’d value the 25k points at £100. The credit card costs £99 but then opens the door to the sign up bonus and the free night at £10k spend. I’d generally agree that the points are more valuable than the status gifts. However, I’m spending over 100 nights a year at a HI with work so to say I’m flush with points would be a major understatement. Should be pretty much straight away – nothing showing in your IHG account? IIRC there was no email, just hit the my rewards section on the left of the account page or somewhere like that. The IHG app is decent but lacking certain things – this is one, proper breakdown of points earning is another (something that is clearly laid out on the website). @Craig as you seem to really know about the IHG scheme, with your stay pattern would there be any use to you or Mrs. S in signing up for Ambassador? Platinum comes with, from Feb…? @Lady London, I already have Ambassador, it’s more than worth it for the 57k rebate in points I’ll get this year. The weekend certificate is an added bonus. @Genghis, I have the IHG card and hit the £10k spend each year, as I’m also churning HSBC WE I think hitting that as well as IHG and 2 BAPP might be tricky if I sign Mrs S up for the IHG with the intention of the free night. What I hadn’t though of was just signing her up for the bonus, status matching her and saving my 25k points which seems like a better plan. I have also matched to Diamond twice. Second time was in September 18 but I’m not sure if that was before or after the changes you refer to. Not true – on my 2nd stays match challenge to Diamond in 3 years and this one is for HH Gold to Diamond if I do 10 stays or 18 nights in next 90 days. I’ve just been turned down for a second status match in the last 10 days, so there appears to be inconsistency as to how Hilton treat people. BA / BAPP supplementary card addition bonus 1000 / 3000 confirmed! I would like to do this, but I don’t have anybody other than my wife I would trust to be added, and she has a plat supp from the time of application. Could I give myself a gold/green supp and get the points? Sweet nice one, just added to my new BAPP. This seems to work even if you added a supplementary card at the time of application. I added my mother in law to my platinum despite having added my wife during the application and received 5k. Data Point. BAPP has been open for several years and I haven’t added a supp card for yonks. Applied today and got 3000 Avios. Thanks for the info. Same for the Mrs, easy 6k Avios today. Good one! I’ve just applied for a BAPP sup card and the 3K Avios are already in my Amex account. How many supplementary cards can you have for free on the BAPP? I know for Platinum the first sup is free. Last time it took some time (more than a week, touching ten days from Pending to Processed. However once processed the cash back was paid out within 5 days or so. Took about 10 days to post last time around. Just used offer again last night. Got instant email confirmation that offer was used. You’ll be fine. Even if anniversary passes, Amex refund prorata. And likely in full, if no spend post anniversary on card. Mine posted last night. About 14 days between spend and 2 x £200 on mine and supplementary card. That’s my Platinum annual fee almost zeroed out in one hit. That’s pretty much par for the course I’d say. Has been much slower in recent months. Once it’s showing up in savings I find it’s normally only a day or so away from showing on main statement. A month or so ago, it wasn’t posted about VS Aero Mexico Joint Venture. Any further updates on this about miles earning on each other’s flight. I have an AM J flight next month and might consider crediting to VS particularly in conjunction with using VS 241 miles if my business class flight earns enough miles for VS Silver or higher. I should have said code share rather than OW type JV. Not heard anything, has VS updated the AeroMexico page on its site? There’s just been quite a few! Check if Finnair are still offering good fares from Manchester to Bangkok – we fly on Thursday and looking forward to trying out the A350 J product. I flew AY A350 J LHR-BKK last summer. Food and service were both excellent. Seat was fine for me, but I know taller people are less keen. Enjoy! Yeah I found the foot cubby/coffin a bit claustrophobic on their service. Was still nice for LHR-HEL though! I’m 5ft 7in stretching and only just found it long enough. Plus foot cubby drove me nuts. It effectively stops sleeping on your side. Give me the A380 anyday over the A350. Qatar apparently launching something tomorrow I believe. Not sure what. Qatar sale may launch tomorrow. Will it be for flights from UK or ex-UK? I’m holding a flight from Stockholm to Singapore over the summer for 72 hours – runs out 10am Friday. The sale will be global. I am only guessing it launches tomorrow, based on the fact that all of Qatar’s current global fare sale promotions end at midnight tonight. They don’t have any ads booked with us. Guess who booked FL car hire with Alamo a couple of days ago, oh well, price was 10% cheaper and customer service is reasonable. However I would also recommend Avis too. on dummy quote, rates are pathetic. Florida small SUV seems to be minimum of £220/week now. Alamo quote through Virgin Travel Plus was <£420 for a fortnight, Avis ~£460. Terrible prices from AVIS via VFC. Double the price on the AVIS website. And then even better applying their new year discount. Paid £220 (pay on collection) instead of quoted £450 (pay now) for a five day mid range rental in May. Interesting question. Would love to know the answer to this as well. Wondering those who recently have closed their spg card, how log did it take to transfer points? OT: still waiting for hilton gold from plat, have called both and they said it’s not showing yet on their system and to just wait…any ideas..? Points transfer over around 4-5 days before statement date. On topic!!! Can anyone confirm that purchased points extend the life of Hilton Points? I.e. count as activity. Rob has said so before – want to check if still the case. Yes. Alternatively, easiest way I’ve found is to do a MR transfer for a couple of hundred. Cheers. I had also thought of that so good to have it confirmed. Did for me last year. O/T. Just had a ‘friendly’ reminder from IHG that 1,500 points are about to expire. No idea how I got them as I don’t stay at IHG hotels but is there anything I can do with these instead of leaving them? Probably on that Iberia Plus – IHG promo… you had to choose 500 Avios or 1500 IHG points. Maybe get some magazine in their shop. They have books and things that you can download apparently. According to your status you get a certain number per year. Yes, IIRC it’s 3 as Spire? Bit of a fiddly process and not a great selection but free I guess! O/T : if anyone is considering booking an IHG for New Year’s Eve, bookings are now open. Some reward night availability for London and Edinburgh available. Six years ago I stayed in the Crowne Plaza London City and felt very smug having the five minute walk home after watching the fireworks. On the subject of purchasing points, is the IHG bonus normally an annual event and if so what time of year is it normally run? They come around very regularly, almost certainly something will appear in 4-6 weeks. Re the SPG card, has anyone noticed a stealth devaluation on the retention offer – it usually used to be one extra SPG point for 3 months, effectively doubling the return. Now it seems to be one extra Marriott point for 3 months, so just a 1/3 extra. How does one get a retention offer? Call in and try to cancel? Indeed. And ask them for one. Yep, I’ve found chat never offer anything. Mind you I’ve also found that SPG card is one of the few they’ll even make a retention offer on, most Amex cards I’ve found there’s no offer (although haven’t tried closing Plat as keep it long term). I recall someone complained about this and got the extra 2 Marriott points per £1 added retrospectively on the basis that (a) the phone offer was for “double” points, i.e. 6 per £1 not 4 per £1; and (b) the Amex site refers to the bonus as 1 additional bonus “Starpoint” per £1 (i.e. 3 Marriott points). I think they also got some compensation.